Want to know more about the unique experience I can offer as your Doula? You’re in the right place. For pricing jump to the bottom of the page. As a woman and your professional birth companion I believe in your innate capability to birth naturally, safely, and peacefully. I will assist you in an awakening something powerful you already posses, the divine Pachamama (earth mother). Your inner birthing goddess has the confidence and knowledge to gracefully take full control of your body, your birth, and your baby. Whether you want to have your birth in the hospital, birthing center, or home I will assist you in gaining the tools and resources you need to give birth on your terms. Along with being a steadfast advocate of your birth plan I will also make sure you feel supported and loved every step of the way. I joyfully accept all preferred birth types including medicated, natural non-medicated, c-section, vbac (vaginal birth after a c-section), and all birth locations (home, hospital, birth center and beyond). However, I specialize in natural births with a holistic and spiritual approach. We’ll have one or two free interviews to get to know each other before any commitment or payment is made. It’s important that you, your partner, and I feel we are a great fit. You want to be able to trust and feel completely comfortable with your doula. It’s like choosing a temporary best friend! That’s why it’s a good idea to interview a few doulas to make sure you have found the one you connect with most. During this time we will also discuss the client confidentiality agreement. It is important to me that you are confident in the knowledge that I will respect and protect your personal information. On call 24/7: Constant on-call emotional and educational support. Unlimited phone, text, and email support. Discussion of birth plan: Discussion of options and information to help you make informed decisions about your preferences. Early and active labor plan, birth exercise and fear release. Discussion of your partner’s comfort levels and participation in the birth. Energy work if you so choose. Informational Resources: A packet of reading material. Access to my selection of books and videos. 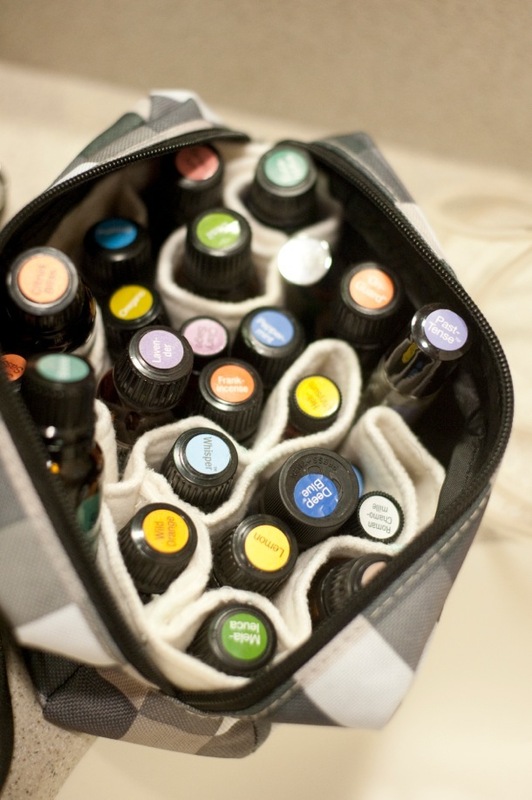 Essential Oils: Access to my pure therapeutic grade Essential Oils. On Call 24/7: I encourage you to call me at any time of the day or night for whatever you need. Call me at the first signs of labor, no matter how small, even if you’re not sure and want confirmation one way or the other. That’s what I’m here for! We will discuss together what is happening and decide when or if I should come. Continuous labor support: Meaning I won’t leave your side unless you ask me to. We will have discussed where to meet in our prenatal visits (either home, hospital, or birth center). I will remain with you after the birth for some time to help you establish breastfeeding and until you feel comfortable. Usually I stay for an hour and a half to two hours post birth, or until you are ready and wanting visitors to come. I can stay longer if you need. Environment management: My best effort in maintaining a calm, peaceful environment throughout labor, birth, and postpartum. I will remain constantly aware of the mother’s and partner’s spoken and unspoken needs. Physical support: I can make suggestions of position changes and I offer gentile Massage, relaxation techniques, counter pressure, and a wide variety of other physical comfort measures. I can obtain almost anything required to help you feel more comfortable: hot or cold packs, food and drink, etc. Ancient birth tools: If you are open to it we can discuss the use of comfort measures that reflect ancient knowledge of sacred birth such as: drumming, toning, and singing. Music is an ancient tool of midwives and shamans used to induce a trance state. A trance state improves labor mentally, physiologically, and emotionally. Singing and toning are the ancient prayers of birth. They are sung by traditional midwives to move stuck energy and facilitate the rhythm of movement between the mother and the baby. It can deeply relax the uterus and pelvic muscles and helps the mother to tune into her baby. The rhythmic beat of the drum synchronizes with the birthing process and facilitates a deep trance-like state for the mother. The drumming represents the heart beat of the mother; the baby; and the Pachamama, our earth mother. It also can enhance the production of oxytocin and endorphins in the body. Emotional support: I will love you my dear sister and remind you of the love you have for your baby and this birth process. I’ll continually try to keep you focused on the positive while validating your emotional state. I will talk you through each stage of labor and help you easily understand the beautiful phenomenon that is childbirth. I will help you and your partner use your visualization, affirmations, hypnosis or whatever techniques you plan to use. I will ground you and remind you of your power and strength when you need it most. Birth plan advocacy: I’ll be a constant steady reminder and advocate of your birth plan for you and anyone else present. Informational support: I will help you understand the medical terminology and how to ask the right questions about risks and benefits of suggested procedures or interventions. If needs be I will help bridge the gap of communication during labor if you are unable to vocalize your concerns. I will help you understand all of your options in any situation so that you have the ability to make an informed decision that is right for you. I will fully support you in whatever decision that is. I’m there to help inform you and then lovingly support you in whatever you feel is best. Support for the partner. The partner is a key ingredient to making this beautiful baby and should be a substantial part of your support system. I can guide and help your partner to be of the most assistance to you. I will make sure that my presence is a reassurance to the partner so that they don’t feel pressure to participate outside of their comfort level. Of course I will tie up any loose ends, fill in any gaps and take the reigns if you or your partner needs. Photos: I can shoot as many photos as possible but remember my primary objective is to be your support first. Also, I’m not a professional, If you are very invested in photos it might be a good idea to hire a photographer. Essential oils: Use of my Essential Oils for a multitude of purposes whether it be relaxation, progression, motivation, etc. Crossing the threshold from maiden to mother is an extremely sensitive and sacred time that not only needs to be recognized ceremonially but also honored with adequate support systems for the mother to nurture her baby and heal. I will see how you are doing emotionally and physically and help you work out any kinks you may have establishing a strong breastfeeding relationship. We will have an in depth conversation about how the birth went and how you and your partner are feeling. I will give you any birth notes or records I took during your labor and possibly a written birth story from my perspective. I will give you referrals to post-partum doulas as well as help you build your own support system through community family and friends. A postpartum call followed by one visit to your home after the birth. Additional visits are available upon request. I will give you Breastfeeding support, information and referral. Postpartum support by phone to answer any questions. Parenting and newborn care information. Disclaimer: As a Doula I do not perform clinical tasks. I am there to provide only physical comfort, emotional support, educational understanding of suggested interventions, and advocacy of your birth plan. I will, however, provide you with names of care providers that can provide services that I cannot. I cannot make decisions for you. I will help you get the information necessary to make an informed decision. I will also remind you if there is a deviation from your birth preferences. I cannot speak to the staff on your behalf as a whole. However, I can speak up for you if you are having trouble communicating your wishes and ask me to help you. In this case you will have to give some indication and confirmation to hospital staff that what I have helped you to communicate is indeed what you want. Half of the fee is due upon hiring or at the first prenatal visit to reserve your “Guess Date” on my calendar. We will read over and sign the Doula agreement at that time together, discussing refunds and terms. In order to provide the best service and most intimate care possible to each client I accept a limited number of clients per month. The other half of the fee is due at 37-38 weeks pregnant when we have your final prenatal visit before your guess date. I can be flexible in working out a payment plan if you qualify.